Stack Velocity Range: 2 to 100 m per sec. We are a unique entity in the industry, actively committed to offering an optimum quality range of Velocity Measuring System. 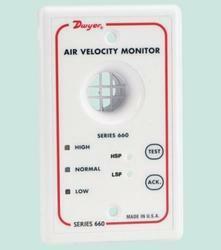 Direct Velocity Monitor can be used for measurent in stack/duct/chimney. It can monitor following parameters. A peak flow meter is a device that measures how well air moves out of the lungs. A peak flow meter is used to manage exacerbations. A peak flow meter is used for daily long-term monitoring. A peak flow meter guides therapeutic decisions in the home, school, clinician’s office, or ED. 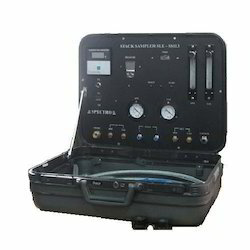 APM 602 is a simple instrument to measure velocity and temperature of flue gases and an optional accessory with APM 620.